A peaceful hill station that has remained a holiday favorite since the Raj, Darjeeling is representative of ‘British’ even now. 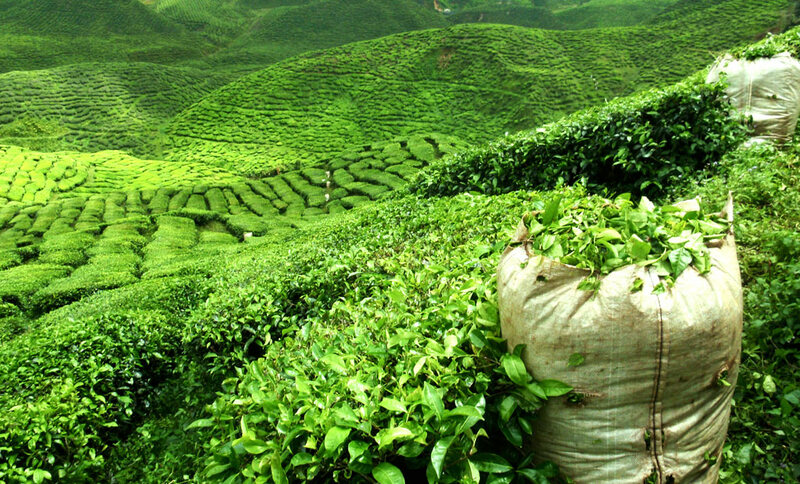 Along with Sri Lanka, Darjeeling is peculiarly famous throughout the world for its production of tea. Colonial houses, lively bazaars and tea plantations – a weekend in Darjeeling is just what you need and deserve for an escape from your busy life. 1. 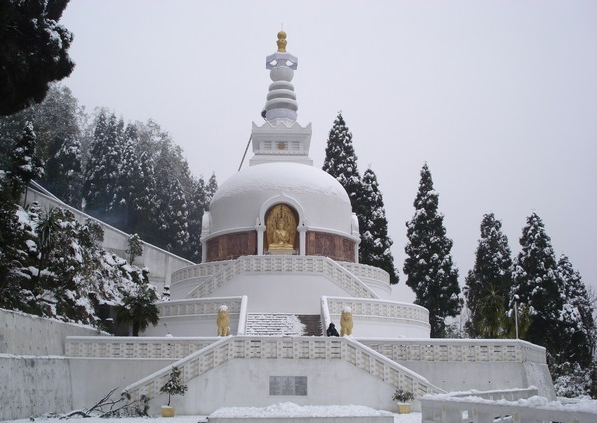 Peace Pagoda:- Furnished with idols of Lord Buddha and Japanese wall writings, the Peace Pagoda on Jalapahar Road is a place of beauty and peace. The Peace Pagoda is also known as the Nipponzan Myohoji Buddhist Temple. A stay here during the prayer ceremony is well worth it! 2.Happy Valley Tea Estate:- These sprawling tea estates and plantations is where your daily cup of fragrant Darjeeling tea comes from. Spend a day at this famous estate learning about tea, preferred during the plucking season (March to November). 3. Tiger Hill:- Well before the crack of dawn, make your way to Tiger Hill to see one of the most spectacular sun rises views of Mount Kanchenjunga, the third highest peak in the world. 4. 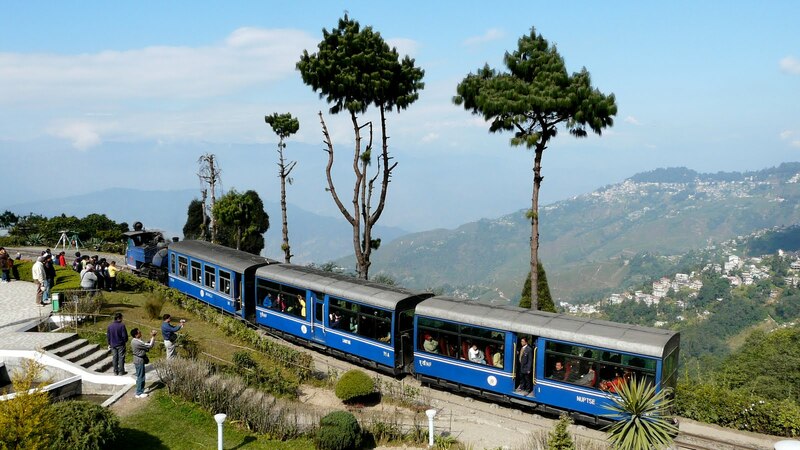 Darjeeling Toy Train:- There’s nothing as magical as a toy train ride. Bring out the child in you on an 8-hour train ride from Darjeeling up to Ghoom, Asia’s biggest railway station. The Darjeeling Toy Train is also a UNESCO World Heritage Site in 1999. The beauty of the mountainous terrain that the journey covers is breath-taking! 5. 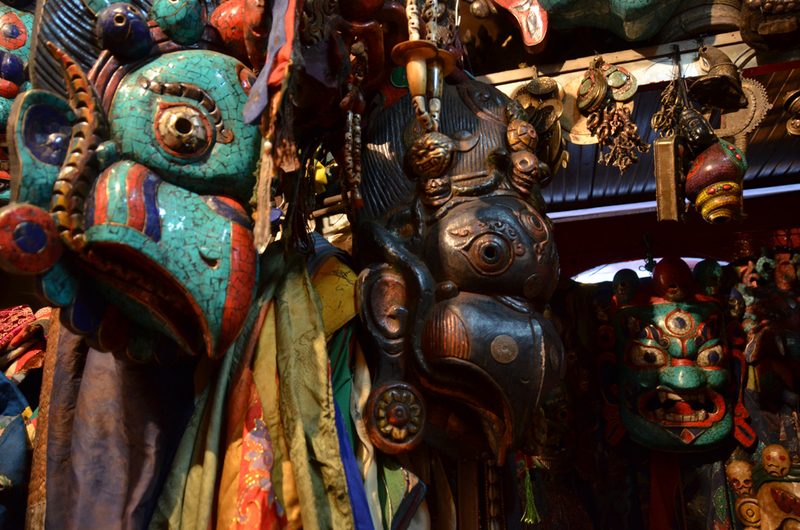 Dorjee Himalayan Artefacts:- This is THE place to shop for – Amulets, silver prayer wheels, knitwear made by local women. Head to Tibetan Refugee Self-Help Centre, which draws plenty of tourists, for Tibetan spread over. Where to eat? Sonam’s Kitchen, Gatty’s Cafe, Park Restaurant, Lunar Restaurant. Where to stay? 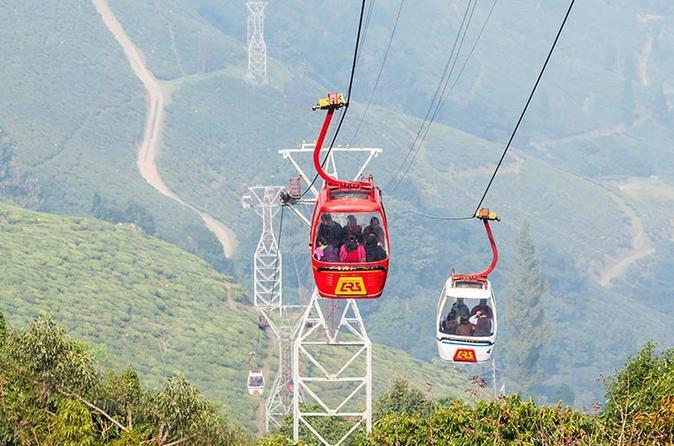 We recommend the following hotels in Darjeeling: Golden Heights Enclave, Dekeling Hotel, Windamere Hotel. Budget: Rs 16,000 per person for four nights/five days trip. By Air: The closest airport to Darjeeling is at Bagdogra, it’s about a three-hour drive to get from the Bagdogra Airport to Darjeeling town. By Road: Luxury and modular buses between Darjeeling run to and from Kolkata and Siliguri. Private taxis are also easily available. By Train: New Jalpaiguri is the nearest railhead to Darjeeling. You can travel by road or take the toy train to get to Darjeeling. Traveler Type: Nature Lovers, Friends and Family.